Leicester City defender Harry Maguire has signed a new five-year deal with the Premier League club. Maguire, 25, was one of England's key players as they reached the semi-finals of the 2018 World Cup in Russia. The centre-back was linked with a summer move to Manchester United, but the Foxes said they would resist any approach from the Old Trafford club. "Ever since I came to this club, I've always reiterated how good they've been to me," he said. Maguire played every league minute for the Foxes last season after signing from Hull City for £17m in June 2017. He has also played in all four of Leicester's league games so far this season, scoring the winner in a 2-1 victory at Southampton. 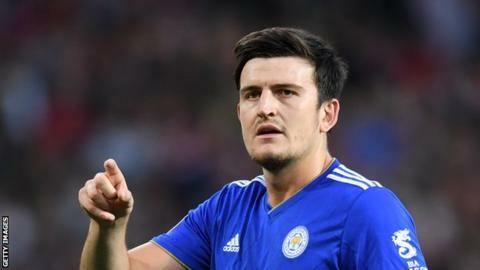 "They gave me an opportunity to play in the Premier League and built a great platform for me to go and perform at the World Cup," Maguire added. "I owe them a lot and I'm looking forward to the future."